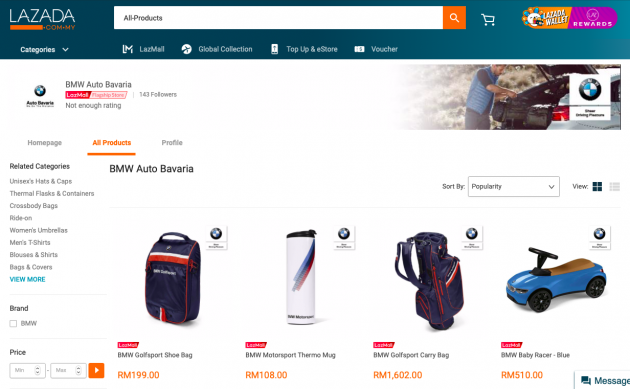 Auto Bavaria has launched the first-ever BMW Lifestyle store on Lazada. Customers can now purchase the BMW Lifestyle Collection on the online shopping service as part of the company’s efforts to provide customers with a seamless buying experience. This marks the first time the BMW Lifestyle collection is being offered by Auto Bavaria on an e-commerce platform, enabling customers to enjoy the buying experience from wherever they are – be it on their computer, tablets or smartphones. The BMW Lifestyle Collection is created to the same high standards that are put into the creation of BMW cars. Every product is made using contemporary designs, quality materials and attention to detail, so you can expect to experience quality in every purchase made. Whether it is polo shirts or watches, the Kids’ Collection or the BMW M Collection, BMW Lifestyle has it all. 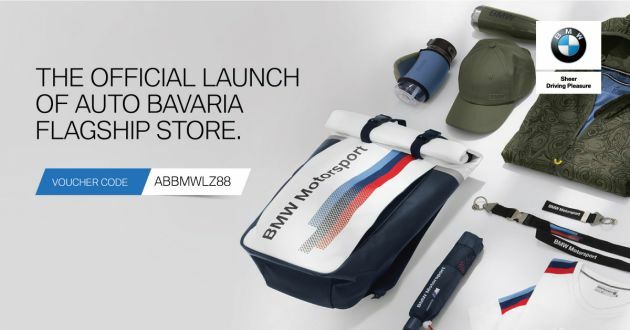 Exclusively for the launch of Auto Bavaria Flagship Store, customers can enjoy 10% discount on all items storewide from April 3 to 15, along with a complimentary gift with every purchase. For more information, visit the official Auto Bavaria Flagship Store on Lazada or the official Auto Bavaria Facebook page.